But despite a dip in publicity, meth hasn’t left the islands—and is still breaking families and lives. We talk with those who deal with the drug everyday about what can be done to address this crisis. This podcast is produced by Hawai‘i Public Radio with help from Honolulu Civil Beat. On Wednesday, a grand jury on O‘ahu indicted a state prison guard for murder in the shooting death of his mother. He’s also facing several other charges—including drug possession, because police found crystal methamphetamine on him when he was arrested. It’s the latest reminder that the drug remains a serious problem in our state. Today we conclude our series “Hawai‘i’s New Ice Age: Crystal Meth in the Islands.” HPR’s Bill Dorman looks at what changes might be helpful in dealing with the crisis. Editor’s note: This is the fourth and final story in a podcast and radio series produced by Hawaii Public Radio in collaboration with Honolulu Civil Beat. You can subscribe to the podcast on iTunes. Georgianna DeCosta and her family held hands as she said a prayer, of sorts, that sharing their story would help others avoid the pain they have survived. Over the past several weeks, we’ve been sharing stories of crystal meth addiction throughout the state. It’s a collaborative project with Honolulu Civil Beat called Hawai‘i’s New Ice Age: Crystal Meth in The Islands. In a search for solutions, one program seems to be working. But as HPR’s Molly Solomon reports, there’s not nearly enough space. More than 20 years ago, Hawai‘i was an early adopter of drug court—allowing nonviolent substance abusers to avoid prison with a program of supervised treatment, work and regular drug testing. Today, 85% of those cases involve crystal methamphetamine—and it’s overwhelming the system. There’s a waiting list for drug court, and a waiting list to get into treatment centers helping users of crystal meth. Hospital emergency rooms taking care of crystal methamphetamine users often face financial charges running to the tens of thousands of dollars, largely absorbed by taxpayers. The time it takes to process experience is what accounts for the lag between Hawai‘i’s most publicized ice epidemic in the early 2000’s, and artworks dealing with the subject. Just this year, a new play and novel deal with a particularly Hawai‘i aspect of the problem. HPR’s Noe Tanigawa reports on the role of families. Over our first two episodes, we have spoken with people who deal with the impact of Hawai‘i’s crystal methamphetamine epidemic: from emergency room doctors and treatment professionals to those in the judiciary and law enforcement. We’ve also heard some stories from those who have been users. In this episode, we hear more from people who have had the drug at the center of their lives. HPR reporter Noe Tanigawa talked story with three women who have come through meth addictions, and we hear about their experiences, their perspectives and how their lives have been changed. Editor’s note: This is the second story in a podcast and radio series produced by Hawai'i Public Radio in collaboration with Honolulu Civil Beat. You can subscribe to the podcast on iTunes. In 2004, Hawai'i residents were introduced to Corey and Nickie, two dumpster-diving teens whose families were ravaged by crystal methamphetamine, drug abuse and poverty. 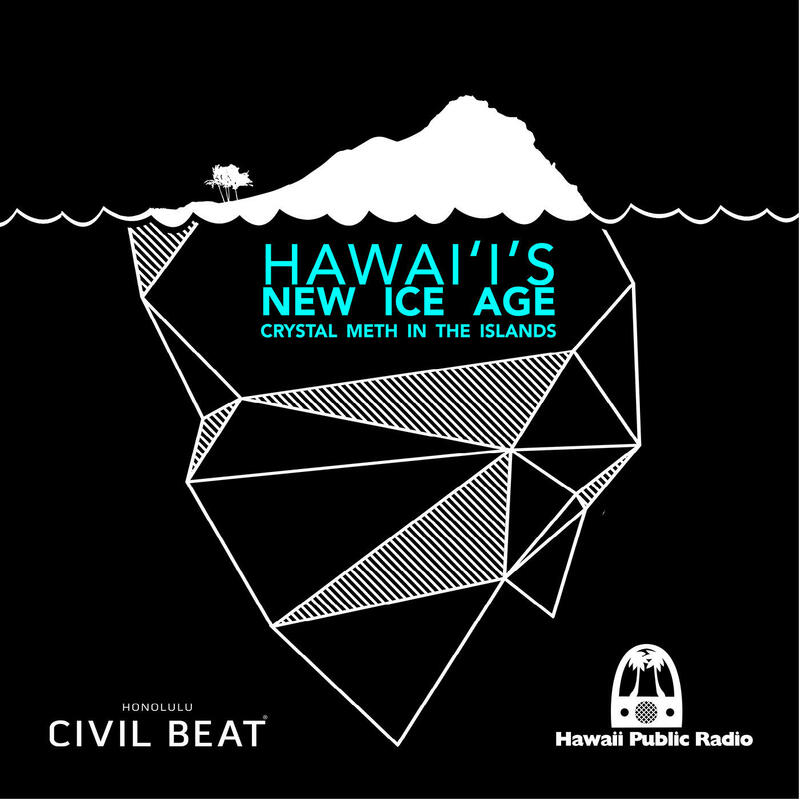 Over the next several weeks, Hawaii Public Radio and Honolulu Civil Beat are doing a series of podcasts and radio reports we’re calling Hawai‘i’s New Ice Age: Crystal Meth in the Islands. HPR’s Molly Solomon takes a closer look at how and why crystal meth has become embedded in Hawai‘i’s local culture. Many people think of crystal methamphetamine users as homeless addicts with deep-seated mental health issues. While that describes some users, it’s a much broader spectrum of people who have issues with crystal meth. From blue collar workers seeking energy to work multiple jobs to white collar employees, crystal meth in Hawai‘i cuts across demographic lines. Job applicants in the state consistently test positive for crystal meth at more than three times the national average. Hawaii’s Ice Epidemic: How Did We Get Here? Crystal meth first came to Hawai‘i in the 1980s. Over the next several weeks, Hawaii Public Radio and Honolulu Civil Beat are doing a series of podcasts and radio reports called Hawai‘i’s New Ice Age: Crystal Meth in the Islands. Today, HPR’s Molly Solomon looks at how the drug first arrived in the islands. Listen to the full episode by subscribing to our podcast on iTunes. Episode 1: "45 Patients A Day"
Dr. Daniel Chang estimates 45 patients a day come to the emergency room at Queens Medical Center for some type of methamphetamine-related complaint. The use of crystal methamphetamine is a medical, legal and social crisis that has now entered its third generation in Hawaii. A dozen years ago, Congress held hearings on the topic, calling them "The Poisoning of Paradise." But despite a dip in publicity, meth hasn't left the islands. That's how many patients Hawaii’s largest emergency room admits with an issue related to crystal methamphetamine—one of four patients it treats. Several decades ago, Hawai‘i was the first place in the United States that crystal meth landed — and today it’s a problem that stretches across three generations. Users are not just toothless addicts, but also high-functioning individuals whose chronic health problems turn up years later as heart and kidney issues. Many wind up in prisons and jails.